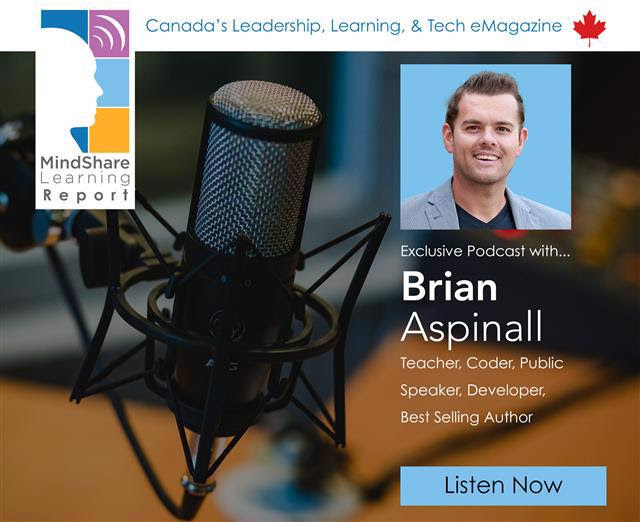 Home/Canadian EdTech Innovation Summit, MindShare Learning Report/October MindShare Learning Report >> Canada’s Learning & Technology eMag >> 6 Days to Go! Our 9th Canadian EdTech Innovation Summit! We received this newsletter yesterday. Notice that the CANeLearn-partnered 9th Canadian EdTech Leadership Summit is only 5 days away now. What does design thinking, STEM, FutureReady Schools, sustainability, blended learning and global competencies all have in common? 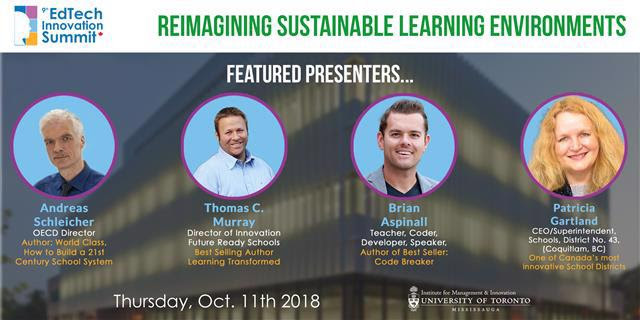 These topics and more will be explored at Canada’s 9th Canadian EdTech Leadership Summit–Re-Imagining Sustainable Learning Environments, Thursday, October 11, University of Toronto Mississauga. Limited spaces are still available! Our Summit is growing! Below are some highlights of our expanded Pre-EdTech Conference activities! Bonus! EdTech Bootcamp for Industry Leaders Location: MindShare Workspace, Erin Mills Town Centre, 5100 Erin Mills Pkwy, Mississauga. PLEASE RSVP! VIP Sponsor/Presenter Reception, 5:30 pm by invitation. Ignite The Night Talks, 7pm – 9pm Featuring Passionate Educators and Summit Presenters! Location: MindShare Workspace, 5100 Erin Mills Pkwy Open to delegates and friends. $5 fee to charity for non-conference registered guests. PLEASE RSVP! *Limited Tickets are still available. Click here to register. Apologies for the laser focus on our EdTech Summit. It’s never been more exciting to be in education, yet we run the risk of falling behind as a global leaders as we grapple with the digital revolution upon us. Through our Summit connections and collaborations, we’ll explore deeper thinking around nagging issues of equity, skills gap, sustainability and digital citizenship, to name a few challenges! I hope you enjoy our October issue of the MindShare Learning Report that truly offers something for all education stakeholder leaders who are interested and engaged in the future of learning and work. From our team to yours, wishing you and your family a very Happy Thanksgiving Weekend!